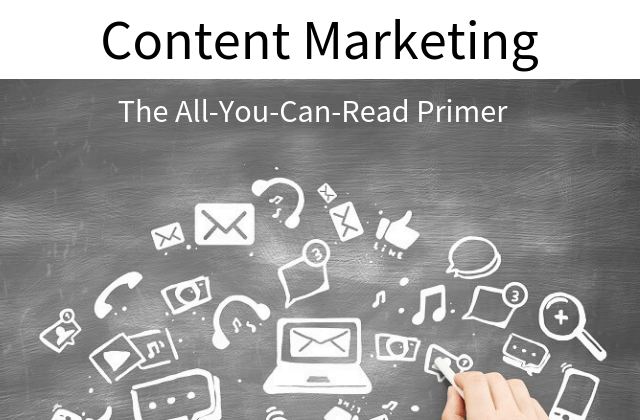 Note: This isn’t intended to be a complete look at every single element of content marketing, but more of a primer. As a copywriter, I’ve mainly worked on producing content for this kind of marketing, but there’s a heck of a lot more to it. This post aims to fill a few of the gaps in my learnings with a more holistic perspective of this sizeable subject. While I’ve done a couple of content-based projects, content marketing doesn’t fall into the conversion copywriting space I like to inhabit. But marketing is all about persuading prospects we’re their best choice by giving them a good reason to believe. Great copy will always play a key part in that, but first-class content that delivers value can be just as persuasive as any headline or call-to-action. I’m literally metaphorically blown away by the sheer volume. So, I do what anyone does today: filter out the cracking from the craptacular. Fortunately (or perhaps unfortunately), useful, relevant and timely content is a rare discovery amongst the mountains of content we often dig through. And that’s a little odd, because for many businesses, content is what their marketing revolves around. When it came to these two terms, I used to think they were just synonyms. You did content marketing, you did inbound marketing. Thankfully, Hubspot showed me the error of my ways. Content marketing is a critical cog in the spokes of inbound marketing. It’s usually found in the initial “Attract” phase, though content can play a part at any point in the inbound process. We know that moving people from interested onlooker to engaged prospect to buying customer can be a long process. So the first step isn’t necessarily about attracting customers, but simply persuading visitors to engage with you. And how you attract that engagement is different to how you persuade potential customers ready to buy. As a copywriter, one of the biggest influences of how I write and structure copy is determined by the “awareness” of the audience I’m reaching. As a handy heuristic, I use the awareness spectrum mapped out by legendary copywriter Eugene Schwartz. Only a tiny fraction of visitors are ready to buy (represented by Level 5 in the image). In fact, most of them are scattered throughout the first two or three stages. That’s where content marketing steps in: to help move visitors past the early stages of the spectrum and towards the “Most Aware” step where they’re ready to think about buying from you. That covers the “why” of content marketing. But HOW does it help us achieve this? All good things come in threes. Just look at Hanson (don’t click unless you’re the sado-masochistic type). Content marketing’s no different, as it relies on a trio of components spinning in tandem to make things run effectively. These elements apply whether you’re embarking on a smaller campaign (anything beyond a few blog posts) or a mega-million dollar content blitz. If you just want to post a blog post, you can generally do that with a few minutes of fore-sight. But if you’re going to embark on anything that even vaguely resembles a content marketing campaign, you’re going to need a plan. So, yeah… content marketing that covers all the bases = an incredible amount of effort. And it goes without saying you’re not doing this for laughs. So what can you expect to get back from good content marketing? Goals: What are you hoping to achieve? When talking about content marketing, we so often focus on the “content” and almost ignore the “marketing” aspect. But… the marketing is kind of the point. So, what are aiming to achieve with your content marketing campaign? Are you trying to generate more leads? Convert leads into customer? Boost traffic to your site? Or lift engagement with prospects and customers? This is an area worth exploring, but we’ll get deeper into the potential returns in a minute or two. Audience: Who is your content meant for? Look beyond the obvious. Who are you REALLY targeting with this content? Your audience may be your existing customer base, or an entirely new segment you’re wanting to spark up a conversation with. Whoever your “who” is, be sure to understand them. Your content should help them solve a problem or satisfy a desire. So what are those problems or desires? If you’re guessing, stop right there and ask your customers directly. Yes, this does involves that interaction that introverts like me generally shy away from, but you’ll mine nuggets of insight that transform the value and punch of your content. Action: How will you put the pieces into place? It’s well and good to say “we’ll use an ebook as our first lead magnet, 4 long-form blog posts to generate interest, and 27 Facebook and LinkedIn posts and ads to promote it”. But unfortunately, it’s slightly impossible to materialise these things into existence with a wave of the wand (Harry Potter has a lot to answer for). So, what’s your plan for creating this content? And how are you going to build the “infrastructure” around that content — the landing pages, autoresponder emails, social media and ads you’ll use? Promotion: How are you going to spread the word? Social media is a key plank of your content promotion, but it’s not the only way you can spread the word. How else are you draw a flood of attention and eyeballs at your content? We’ll dive deeper into this in a second. Metrics: How are you going to measure your campaign? It’s impossible to say “we did it!” if you don’t know what “it” is. Even if you do have goals for your campaign, the champagne might still have to stay on ice if you’re not able to track progress towards said goals. You’ve GAAPMed your way to a content marketing strategy that’s got all bases covered. The million-dollar question is: what’s the best form for your content? If you’ve finished your strategy, you already know what shape it’s going to take. If you’re still searching for ideas, start here. The tried and test blog post is a staple of many a content marketing campaign. Some businesses use them to demonstrate expertise on a specific topic. Others use blogs to educate their audience. Flexibility is one reason why blogs are so handy. The relatively low cost of producing blog content is another attraction, and they’re seen as an easy way to spark and encourage engagement with both existing customers and prospects alike. Blogs can also act as a “gateway” to premium content or a lead magnet. Robbie Richards, an online marketer with a penchant for mega-mega blog posts, does this frequently. Yes, social media is one of the “engines” to drive promotion of your content. But it’s not limited to merely playing the role of delivery boy. Short-form, “snackable” content has been the rage for years. It’s easy to consume, easy to engage, easy to produce… what’s not to love? All things made specifically for sharing on Twitter, Instagram, Facebook, LinkedIn or where-ever you want. If we’re talking lead magnets — the cornerstone offering of many a landing page — content like reports, white papers and ebooks are the typical form they take. Just like blogs, long-form content isn’t difficult to create (or at least outsource the creation). And just like blogs, they’re a great way to educate your readers, touch on your actual products or services and demonstrate you know what you’re talking about. Blogs are often seen as more “casual” content, where white papers, reports and eBooks are often more formal. That said, the second point of difference is now blurring. It used to be that ebooks, reports and white papers were places to explore subjects in a depth that blog posts couldn’t cover. Today, “Skyscraper” blog posts are just as exhaustive as any report or ebook. The writing’s on the wall… or in this case, a revealing infographic from Marketing Profs. While blogs and content are still THE way to reach older age groups, it turns out those pesky young uns’ aren’t that into the written word. When it comes to content marketing, videos often play a part, podcasts are a dime a dozen and webinars a common “stepping stone” used by thousands to draw people into their funnels. Having someone like a tweet is nice. Having someone share your blog post is much better. But in terms of engagement, likes and shares are useful but relatively passive. If you want visitors actively engaging with your brand or content, you’ve got plenty of options. Quizzes are an obvious and ideal candidate. Their very nature draws people in, promising answers that almost beg for further interaction beyond the quiz. 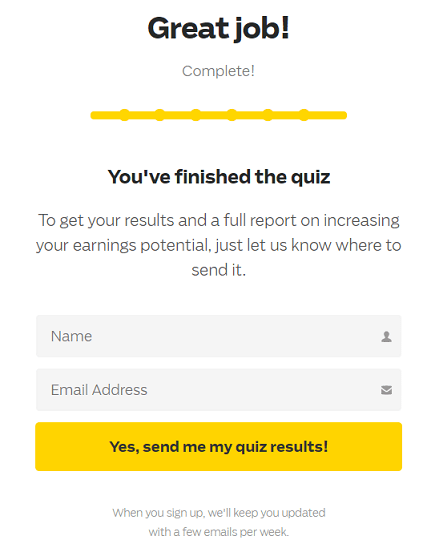 For example, Ramit Sethi’s “I Will Teach You To be Rich” has a quiz as their lead magnet. Want to know how to increase your earnings potential? You’ll have to enter your name and email (and opt in for email marketing). Surveys and polls aren’t just a great way to get people clicking, but also for scooping up valuable marketing data. Polls seem a simple “click and flick” exercise, but ask the right question and you’ll gather marketing intel to guide your efforts well into the future. Surveys are perfect for collecting more in-depth data, but both can be a handy way to segment your leads. The interactive fun doesn’t end there though. Online tools, like a calculator or image editor, are another way to entice people to interact with you. Now it’s time to spread the word far and wide. And while it’d be great if there was an online alarm that alerted your target audience every time you published new content… there isn’t. That’s why promotion is the third, equally essential plank in the floor of any content marketing campaign. Let’s start with the channel that every business and their dog is using. Scrolling through a Twitter or LinkedIn feed is a non-stop “content fest”. Everyone’s posting their own content or sharing someone else’s. But just because we swim in a sea of content doesn’t make it a time-worn, ineffective method. It just means you have to do a bit more to stand out. Treat every channel like the unique snowflake they are. LinkedIn is not Twitter. And Facebook is not Instagram. Learn the nuances of each and apply accordingly. Here’s a starting point for each of the “Big 5” social media channels. Just like social media, this is another no brainer. Sure, it’s not going to help if you’re looking to generate new leads. But marketing is more than just reeling in fresh prospects; it’s about nurturing them too. With that said, your email doesn’t have to be a hard-hitting, 1,000 word epic. Just send something to let your subscribers know there’s a new blog post, report, video — whatever — available for them, and let your content do the rest. You might also get some “free” shares out of it too, widening your content’s potential reach. Content marketing hasn’t been the only marketing buzzword over the past few years. Influencer marketing and thought leadership are two trends that can draw attention to your business. So why not use their “fame” to your advantage? If you can find relevant, influential people to share your content, you can exponentially explode your reach. The thing is… they’re not going to come to you. You have to go, cap in hand, to them. Some people don’t mind doing this. Introverts like myself, not so much. But whatever your attitude, there’s no argument that reaching out to the right people can result in big wins for your content promotion. Build a list of people who a) have the influence in the market and b) might be willing to share your content. 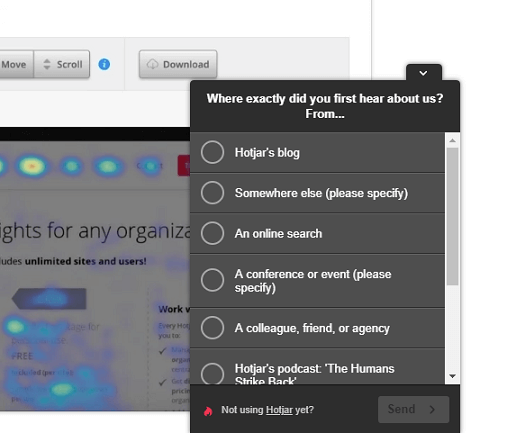 Prepare a standard email to send those people asking to share. Don’t “boilerplate” completely, but personalise. Talk to those people, comment on what they’re doing, and yes, even flatter them. Keep your expectations grounded. You won’t get anywhere close to 50% of those you contact to share your content. The good thing: it only takes a couple to net huge results. Advertising has come a long way from “here’s our ad, buy our thing”. And pay-per-click and social media ads have become more than vehicles for transactional purchases. They’re perfect for content marketing. The obvious starting places are Google Ads and Facebook, simply for their reach and relative sophistication of the tools. But you can also advertise on other social media platforms, such as LinkedIn, or search engines, like Bing. Unlike other channels of promotion, you’re going to need a budget. But if you’re looking to boost traffic quickly and have got the dollars, ads to your landing pages and content can prove a clever move. If your site lacks the organic reach, why not piggyback off more visited sites? Syndicating your content can be a cheap way to draw attention to your content (especially if it’s mind-blowingly good). Where possible, include a link back to the original in the syndicated version, so readers can follow the trail to find the rest of your content marketing goodies. For sites you think can help promote that don’t syndicate, consider writing content especially for them. Many sites that accept guest posts allow at least one backlink, which you can use to send traffic your way. It’s not an obvious choice, but you shouldn’t summarily rule out SEO as a way to promote your content marketing campaign, especially if you’re ready to play a long game. With the right keyword targeting, first-class content and a little know-how, you might find you’re pulling a fair share of organic traffic as time goes by. Again, this isn’t the place to dive into SEO, but if you’re looking to get your hands dirty and want to start from the ground floor, check out Moz’s Beginner’s Guide to SEO. Let’s take a closer look at four possible types of return your content marketing could deliver. One of the most popular purposes of content marketing, lead generation is about one thing: collecting details of people you can market to. Some campaigns might try to grab every kinda-sorta-qualified lead that wanders by. Others may be highly targeted in who they try to attract. Either way, the mission is the same. Measuring your return for lead acquisition campaigns is pretty simple: how many leads did you generate as a direct result of your content-driven opt in landing pages or ads? Lead generation is one of the most common goals of content marketing. But there’s something more important to business than leads. The reason leads are collected in the first place is to market to them. At the end of the day, you want to convince them you’re the logical choice to buy from. But if you’re not planning to go “hard sell” as soon as a lead signs up to your email list, content marketing is THE way to grow the relationship. Even once they’ve made the jump to paying customer, content marketing still has a big role to play. As the consultancy McKinsey & Company point out, the consumer decision journey isn’t a linear process, but a loop. One of the major influences of a repeat purchase in the “loyalty loop” are the customer’s post-purchase experiences. That can include the value they get from you after buying… value which content can be a part of. In this case, measuring is straight-forward: how much revenue are the leads you’re collecting with content marketing generating? Awareness or engagement might seem a “softer” goal than leads or revenue, but it’s not. It still ultimately leads back to a profitable action; it’s just a different path to the same destination. You might have heard of the old school “Rule of 7”, where someone needs to hear your message 7 times before they take action. While that’s a rule of thumb, the point is that people often need to hear from you several times before they act. Luckily, the digital landscape (and especially social media) makes this easier than ever. It’s “Captain Obvious” to say that content marketing is all about your content. But when you’re running an awareness campaign, it’s REALLY all about your content. Sure, your content’s got to be valuable. And if it’s not appealing, people are just going to ignore your content. But there is one characteristic that pops up when we talk about awareness: virality. There are 101 ways you can produce content to be “viral ready”. This isn’t the place to go deep, but digital strategist Jeff Bullas shares his tips here. With awareness and engagement, you want your content in the limelight as much as possible. That means unique pageviews, shares, comments and referral traffic are all handy metrics to track how your content’s doing in getting around. Building a relationship lies at the core of content marketing, but you can’t start that relationship without trust. By making education your first and foremost goal, you show your prospects you genuinely care about their problems (and want to help solve them). As a goal, education aims to enlighten your audience, giving them the information to make better decisions or do certain things. If your prospect’s “education” is a good one, they’ll come back for more, recognising you as the best choice for their problems or the best place to learn more. 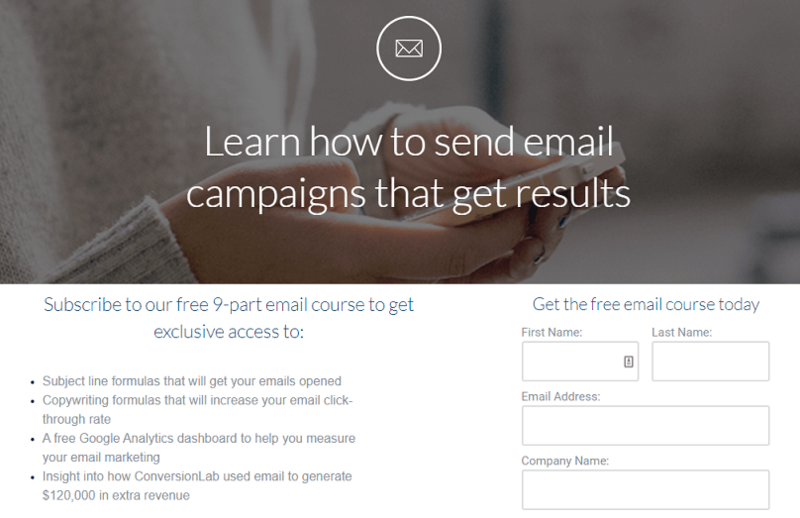 As one example, Campaign Monitor offers a free email course on… how to send better emails. There aren’t any special metrics for education-based content, but like awareness & engagement, the number of downloads, sign ups or views are starting points to evaluate whether people dig your lessons. If the thought of tracking every angle gets you shivery with excitement, be sure to check out The Digital Marketing Institute’s comprehensive post on how to calculate ROI for content marketing. As you’ve probably realised by now, content marketing costs a fair chunk of capital. As Content Marketing Institute’s 2018 B2B Report showed, organisations most successful with content marketing dedicated 40% of their total marketing budget to it. What does that mean in dollar terms? Typical costs for a mid-sized business can float around the $12,000 USD mark, while for larger firms, that figure grows to over $30,000. You might not have that kind of budget to dedicate to content marketing, but regardless of what you can afford, these are the three areas to focus your budget on. If you’ve been reading all the way through, you’ll know planning’s more than just a matter of brainstorming cool content ideas. Answering the GAAPM questions helps clarify your strategy, but the details at a more tactical level needs to be sorted. Depending on your business and level of depth to your planning, a single Marketing Manager may cover everything in an hour or two. Or, it might take the Marketing team (or the whole business) a good part of the day to workshop. Either way, there’s a time cost, though it’s by no means the most expensive part of the process. Content creation is usually the first thing anyone thinks about when it comes to expense and content marketing. For sure, quality content isn’t cheap. And if you’re heavily constrained by budget, taking the time to create content can cost just as much in labour. There are usually four aspects that dictate what your content creation adds up to cost-wise. Type of content: a 1,000 word blog costs a wee bit less than a 30 minute video. Content size (or length): the bigger or longer your content is, the more it generally costs. Quality of producer: hiring someone from Upwork is often cheaper than engaging other freelancers or agencies, but you often get what you pay for. Supporting assets: whether you need photos, images, infographics, video or audio clips, supporting assets all drive up the cost of creation. But let’s look at some specific examples of pricing. Siege Media talks about a GOOD blog post being in the $1,000 to $2,000 range, while an infographic can you set you back anywhere from $2,000 to $3,000. The Content Factory is around a similar level, with a price of $950 for a blog post. They also offer social media services for $3,500+. That price seems to be the high end for blogs. A survey of the copywriting community I’m part of revealed an average rate of just under $500 AUD for a 1000 word blog post. At the other end of the scale, you can get blog posts from Fiverr for around $5 US. Video is obviously “next level” when it comes to expense. A camera operator, sound recordist and editing for just a single day (and production can often extend longer) can mean a minimum of around $1,500, at least here in Australia. This is where you can spend “big bikkies”. Sure, your website and social media are a given, but that’s not always going to give you the audience you want. That’s where an ad campaign comes into the equation. Do a Google search on “cost of content promotion” and you’ll find a lot of articles focus on paid methods – advertising channels or alternatives like influencer marketing. To put it simply, you’ll probably have to allocate a good part of your budget into purely promoting your content. The actual figure varies wildly, of courses. Larger businesses won’t hesitate to drop thousands promoting their latest video, blog post or free guide. Small businesses might be hard-stretched to put $100 down for it. However, there are cheaper ways of content promotion. Influencer marketing and content syndication are two ways to get the word out without spending a dollar, while SEO may prove a cheaper way over the long-term to give your content more exposure. With all of that said, let’s take a look at a couple of businesses who approach the noble art of content marketing from very different angles, but still both hit it for six. 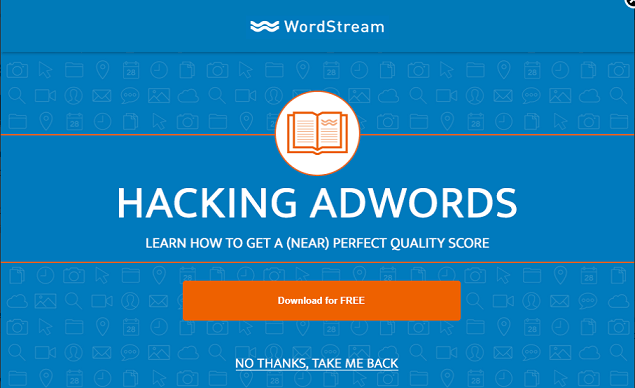 Wordstream provides online advertisers with tools and services to make their campaigns run more effectively and smoothly. They also churn out bucketloads of practical, useful content ranging from expert to beginner level. Their “big” lead magnet is a Google Ads Performance Measurement tool, which is more a free service than content. However… these guys are content kings. 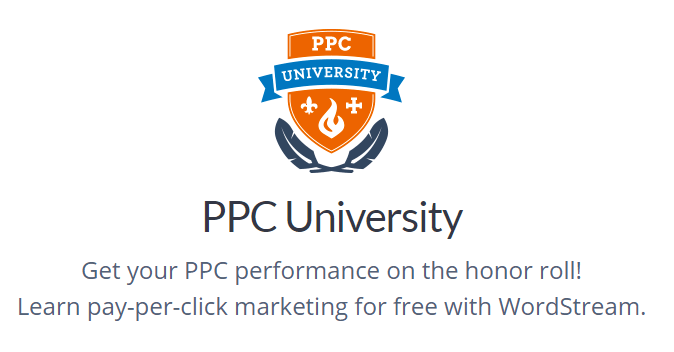 You don’t have to go any further than their “PPC University” to see just how much material around online advertising they’re willing to give away. Webinars, white papers, article upon article on advertising – it’s all there, and it’s all free. Naturally, they’re not just demonstrating supreme authority in their space. Much of this is angled to get you joining their email list. Once you’ve joined, you get even more content, along with the odd low-key pitch for their paid services. Oh, and they also have a blog which they post to every few days, and you’ll also get the opt in pop-ups there as well. Oodles of quality content: it’s not just one or two guides they’re using as content, it’s virtual truckloads of it. And it’s all well-produced, from the simpler blogs to immaculately formatted PDF guides. Mixing it up: guides, articles, webinars and white papers, Wordstream aren’t afraid to hit you up on different content fronts. Opt-Ins Galore: just browsing the site caused 3 to 4 opt-ins to pop up, which is exactly. Free content isn’t just there, it’s serving a vital marketing purpose. I first came across Chubbies doing some e-commerce work early in 2018 and found their email marketing a blast. As it turns out, they do first-rate content marketing too, although in a different way to Wordstream. Shorts are obviously a physical product, which makes them perfect for visuals. And Chubbies use their imagery to perfection. Social media channels like Instagram, Twitter, Facebook and YouTube are their playgrounds, and they’re not only having a lot of fun, they’re making Chubbies shorts a lot of fun too. This content marketing isn’t geared toward getting people to opt-in(though if you want to see awesome e-commerce emails in action, you should sign up). It’s all about brand and product awareness, and this content does a sterling job at promoting it. Content Made to Fit: Chubbies sells shorts. White papers or blog posts aren’t going to work… which is why they post videos, images and other visual goodies as part of their content marketing. 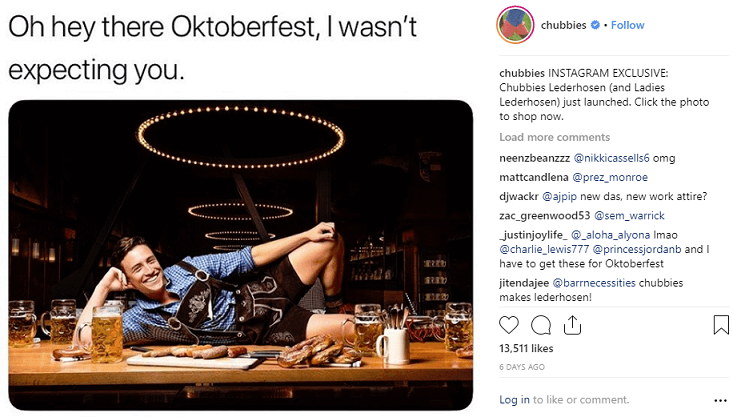 One Voice to Rule Them All: Chubbies’ marketing has an irreverent, comedic voice. And unlike a teenager asking out the girl he sits next to in Maths to the movies, that voice never wavers, cracks or squeaks for a second. UGC FTW: posting plenty of user-generated content isn’t just a cost-saving move by Chubbies, it’s incredibly strong social proof too. Content marketing is easy to do… and much harder to do well. Without all the spokes of a well-made plan, great content that attracts readers and a magnetic promotion process, your campaign will hit a few potholes. Have you got your fingers in the content marketing pie? Let us know some of the triumphs, failures and lessons from your experiences.